We need your prayers make dua for us. In the new Masjid Building Project. Project Requires a steady flow of funds. اَلْـحَمْـدُ لـِلّٰـه عَزَّوَجَلَّ! 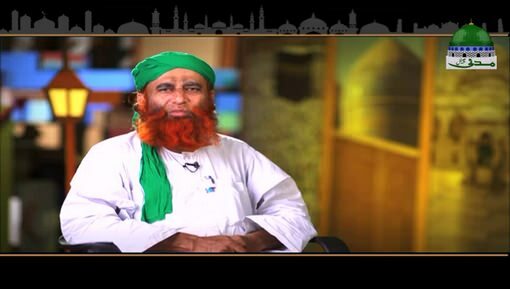 To date (Rabi’-ul-Awwal 1440 Hijri, corresponding to November 2018), the Madani movement of the devotees of Rasool, Dawat-e-Islami, has spread its Madani message in approximately more than 200 countries of the world. Moreover, اَلْـحَمْـدُ لـِلّٰـه عَزَّوَجَلَّ! Dawat-e-Islami is engaged in serving Sunnahs in more than 105 departments. ‘Khuddam-ul-Masajid’ is one of those departments. Masjidon ki tameer nihayat aala ibadat hay or Ambia kiram عَلَيْهِمُ الصَّلٰوۃُ وَالسَّلام ki sunnat hay Sahi Bukhari me hy Huzur صَلَّی اللہُ تَعَالٰی عَلَیْہِ وَاٰلِہٖ وَسَلَّم ne Masjid e Nabavi Sharif ki tameer me ba zaat e khud hissa lia tha. Madiney Sharif me Huzur صَلَّی اللہُ تَعَالٰی عَلَیْہِ وَاٰلِہٖ وَسَلَّم kay makan e Aalishan kay qareeb banu najjar kay 2 yateemon ka aik bagh tha Nabi-e-Pak صَلَّی اللہُ تَعَالٰی عَلَیْہِ وَاٰلِہٖ وَسَلَّم ne un Dono Yateem bachon se wo zameen kareed farma li or per apnay hathon se khud masjid ki tamirat ki. Hadees-e-Pak ka mafhoom jis ne duniya me tetar kay ghonsley jitni masjid banaye Allah us kay leye Jannat me mahal banaye ga .is Hadees Shareef me masjid bananey ki targeeb mojood hay. Ameer-e-Ahle Sunnat دَامَتْ بَرَکاتُہُمُ الْعَالِیَہ ne Dawat-e-Islami me shoba jaat qaim kiye hen in me se aik Shoba “Khuddam-ul-Masajid” hay jis kay tehat Pakistan samet duniya bhar me masajid ki tamiraat ka kaam zor o shor se jari or sari hy. After migrating from Makkah Mukarramah, Holy Rasool صَلَّى اللهُ تَعَالٰى عَلَيْهِ وَاٰلِهٖ وَسَلَّم came to a place called ‘Quba’ on 12th Rabi’-ul-Awwal, which is three miles away from Madinah Munawwarah. First thing to be done here was to construct a Masjid. You can share the images of our beautiful Masajid with your friends and dear ones so that it also develops a passion in them to participate in the noble cause of building Allah’s house. Every construction needs assets to build and in the same manner the Masajid that we build also need many assets from its construction till its decoration. The department of Khuddam-ul-Masajid discovers those areas where there is no Masjid and after every kind of inspection build a Masjid over there to facilitate the Muslims to worship in peace. If you are related with the profession of construction, architecture or if you think that you can help us in any way in the noble cause of building Masajid then become our volunteer by filling out a short form. It is narrated by Sayyiduna Umar رَضِیَ اللہُ تَعَالٰی عَنْہُ that holy Rasool صَلَّی اللہُ تَعَالٰی عَلَیْہِ وَاٰلِہٖ وَسَلَّمَ has said:Whoever builds a Masjid for the Zikr of Allah , Allah عزوجل builds a house for him in Jannah. With the Grace of Allah عَزَّ وَجَلَّ sanctifications of the dearest Prophet صَلَّی اللہُ تَعَالٰی عَلَیْہِ وَاٰلِہٖ وَسَلَّمَ blessings of Sahaba-e-Kiram رَضِیَ اللہُ تَعَالٰی عَنْہُم affiliations with Auliya-e-Azam رَحْمَۃُ اللہِ تَعَالٰی عَلَیْہِم the kindness of Uluma-e-Ahl-e-Sunnat دامت فُیوضُہم and with persistent efforts of Ameer-e-Ahl-e-Sunnat دَامَت بَرَکاتُہُمُ الْعَالِیَہ The movement of Reforming Muslim Ummah, Dawat-e-Islami based in Karachi, has spread its message over 195 countries of the world.